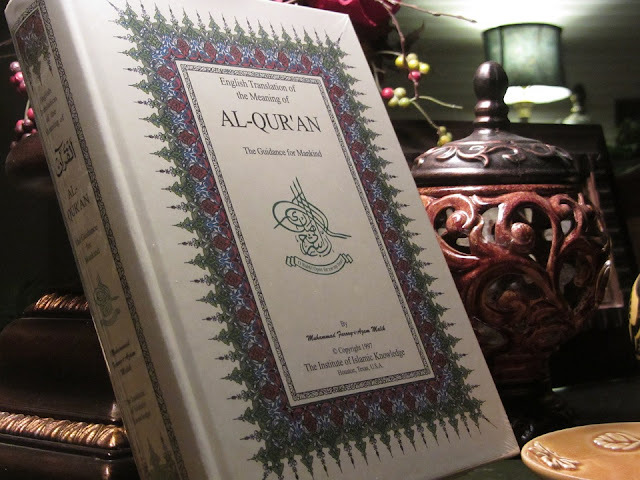 The Prophet Muhammad: A Biography led me to Islam ~ Islam My Ultimate Decision . 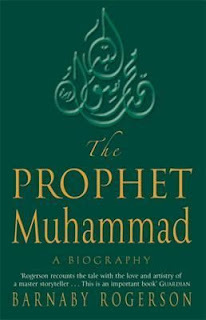 While writing about an introduction to Prophet Muhammad (peace be upon him), I quoted the reference of Barnaby Rogerson's book “The Prophet Muhammad: A Biography”. At that time I did not know that one day I shall be writing a post about a young man who embraced Islam just by reading this book. Yusuf Derbeshyre was a typical Christian young man enjoying his life as all other Christian friends of his did by going to clubs drinking and making merry. But then a small incident changed the complexion of his who life. In the account which I read he says that he had the habit of taking books in his backpack whenever he traveled to while away time at the airports or when in waiting for a transport. It so happened he went to WHSmith to buy a book or two for his travel to Greece. In the bookstore, he accidentally flipped over a bookshelf and a few books fell down. 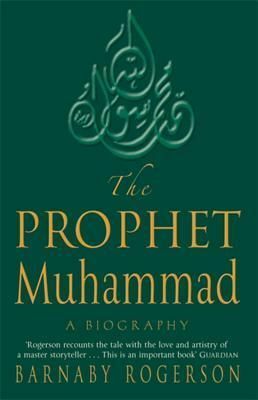 While picking up the books, Barnaby Rogerson's book “The Prophet Muhammad: A Biography” caught his eye and he read the first page and it looked interesting. He read the second page. Took it to the counter, and bought it and took it on holiday. Reading the biography, his quest to know more got triggered and he though that he wanted to learn more. So when he came back, he went to the local mosque and started to know more about Islam. Seeing his quest, one day Imam of the masjid said: “Well to tell you the truth, the best way to understand Islam is to become a Muslim.” He says he did not think twice and became a Muslim. While reading the account of many companions and relatives of Prophet Muhammad (peace be upon him), he specifically got interested in Ḥamzah ibn ‘Abdul-Muṭṭalib, Prophet's paternal uncle, who lived a life exactly like him before embracing Islam. Then he went on to describe very emotionally his visit to the battlefield when he went for Hajj to Saudi Arabia where the Battle of Uhud was fought in which Hamza fighting bravely embraced martyrdom. I went to the cemetery, then got off the bus. As I was walking across, it was like I was walking through tranquility. I felt so emotional, and tears were just streaming down my face, and I couldn't stop them, and I didn't know why. So I kept going, and as I got off this sandy patch unto the little paved area, it all went, and I thought that was strange. I went to the cemetery. I made my dua to the martyrs and Hamza. And made my way back to the bus when I said “Come on it’s time to go”, and as I walked across that patch of ground it happened again, just crying. Someone asked me “What’s the matter?” and I told him, to the man who was there next to me because he was translating for me. He said “When our Prophet found out what happened to his uncle he cried, and just wept and wept.” And I said “Maybe he just left something there for somebody who wanted to find it,” and I felt it here, in my chest, for Hamza and it hit me fully. So amazed was he with his personal experience that on his return he told his wife that he would name his son Hamza if a boy is born to them. However when a baby girl was born to them, he asked his mother to suggest a name for their girl. After some research, his mother told him to name her Saffiyah, the name of Hamza's sister (Saffiyah binte ‘Abd al-Muṭṭalib).